Red Comet’s brand new elective "Law & Order: Discovering Introduction to Legal Studies" is launched as part of the company’s broad efforts to introduce a rich mixture of enrichment courses that supplement the existing curriculum. Every society has laws that its citizens must follow. From traffic laws to regulations on how the government operates, laws help provide society with order and structure. Our lives are regulated and guided by the laws of our society. Consumer laws help to protect us from faulty goods; criminal laws help to protect society from individuals who harm others; and family law handles the arrangements and issues that arise in areas like divorce and child custody. 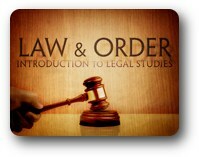 This course focuses on the creation and application of laws in various areas of society. Understanding the ways in which our court systems work and how the laws are carried out helps make students better citizens of the government. Students obtain engaging and rigorous online courses from Red Comet. The online program at Red Comet excels in the scope of its course offerings, and has also received the best ratings in Washington State for student satisfaction. Even challenging topics are presented in a way that is easy for students to understand. Students who take Red Comet’s online high school classes will be challenged using various learning techniques that make the process of learning more interesting.